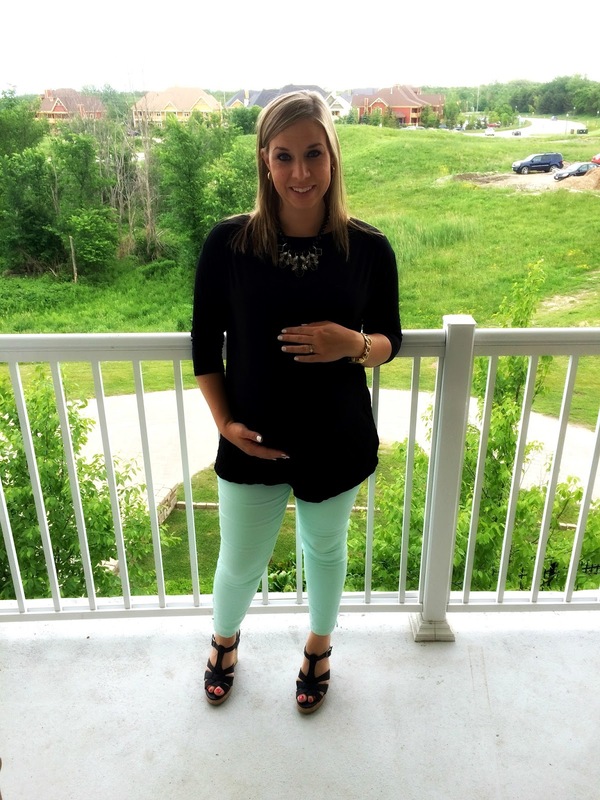 Simply Shaunacey: what I wore - mint capris and $200 GIVEAWAY!!! 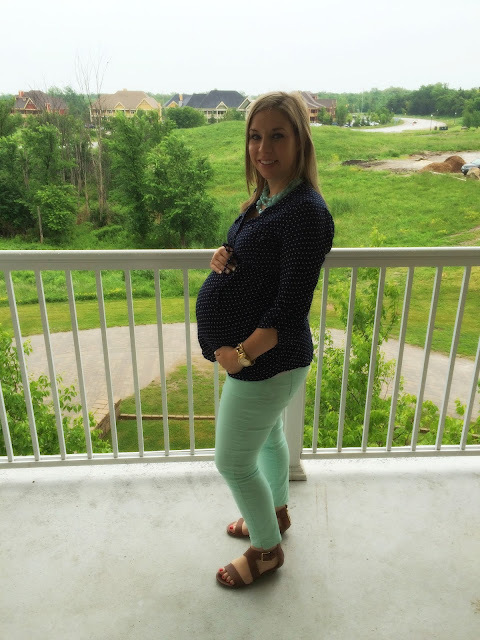 what I wore - mint capris and $200 GIVEAWAY!!! 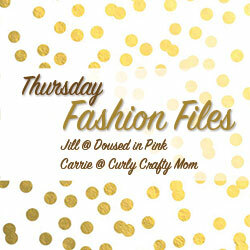 PLUS my blog friends and I are hosting a linkup and we'd love for you to link-up with us and share your fashion posts! If you know me, you know of my love for colored pants but you may have also noticed that when I wear colored pants they're usually really bright or darker shades. Light-colored bottoms scare me. You can read more about my fear of light-colored bottoms HERE. Despite my fear, it's clear mint pants/shorts/capris are EVERYwhere and since I was in dire need of some fun maternity pants, I thought I'd give these mint capris a go (okay, they're supposed to be capris, but I'm kinda short so they're more like flood pants on me). It took me a few tries to figure out how the heck to wear these capris but I'm quickly realizing they work with more than I thought. Below are some looks with mostly dark tops but they also look great with coral, yellow and white! oh I just bought a navy and white striped tank! great idea! You are SO cute! I have a pair of mint pants (ankle trousers & skinnies) and I have worn them with a black tee, but not a white jacket. I may try them with my denim jacket next. I don't have a white jacket, just a white blazer which may look weird. Thanks for the inspiration! Yes, I need to try mine with my denim jacket and vest too! LOVE those mint capris. For pairings - I love navy, peach, or pink (either a light or a hot pink works well, I find) with mint. You could also do a periwinkle color, a dark teal (the green teal thought not the blue teal), a beige/khaki color, or like a darker hunter/forest green. So many ways to do mint! I didn't think of pink OR teal! Options are endless really! I have a hard time with light colored pants too, except for the lightest of all, white. Weird I know! I love your mint pair, that would totally be like flood pants on me too, haha, short problems! I like the outfit with the white jean jacket best. I should try it with my mint pants! The mint and navy are perfect together! Mint and white, grey, pink all would look good too! This is such a cute look! absolutely radiant! I love those mint pants! I have been wanting mint jeans for so long but haven't been able to find a good fit for me, these are so pretty on you and love all the ways you've styled them! I think you have figured out a couple of great looks for those mint pants. Maybe trying a navy tee or a coral tee would be cute, too? All of these great clothes you have been sporting...are they maternity clothes? If so, you have to get these mint pants in your after-baby size, too!! I have a navy and white striped tank I'll try too! Yes, all maternity now (except for some dresses)... I'm going to need a shopping spree when this little arrives! These pants are so pretty on you. I bought a pair of mint pants a few months ago but have yet to wear them because they scare me! I see them in my closet and think "nope, not today". You've given me some great ideas though. Gorgeous as usual!!! get them on, I want to see!! I love all of the choices! You always make me want to go get whatever colored pants you have, I am STILL looking for the perfect reds ones...just add mint to that list too! lol you WILL find the perfect red pair one day!! 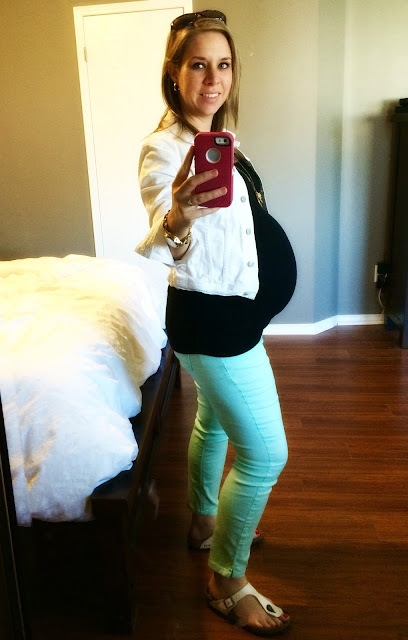 I love mint pants and you simply are the cutest little pregnant mama!! I love mint and this post really makes me want some mint pants in the worst way. You are super adorable!! Can't believe you are in wedges. mint pants would be perfect on you!! Those pants look awesome on you, great color! You look beautiful! I love your mint pants! Love the mint color! I haven't wore colored pants in a long time but I think I am going to have to! You great! You are such a cute preggo lady! Love your mint pants. It is such a cute summer color. I love maxi dress and sandals.